The month was a weird one. It seemed to last longer than the allotted 31 days, something I know many people complained about, but somehow seemed to comfort me. I get an uncomfortable, out-of-control feeling when the year is passing at the speed of light, and while each day was flying by individually, I could still remember New Year quite clearly and with my awful memory, it meant that I felt a bit happier. While there weren’t many big events in January, I managed to find little bits-and-pieced in each day which meant that it all added up to be a happy month, on the whole. Getting nails done (sparkly red) with my mum. Wearing a glittery jumpsuit for a village drinks party. Chatting to E while taking down Christmas Decs. Getting a £10 set of rings for £3 because they’d been put in the sale section by accident. Jaclyn Hill Morphe palette arriving. Making Salted Caramel Brownies with I. Paddington 2. Watching Little Women series. Watching Greatest Showman and listening to soundtrack. Compliments on my makeup/eyeshadow/look in general. Passing Chemistry Test and getting good grade (for me, at least!). Having a good chat with E in Pret. Bowling (throwing ball backwards by accident), Creams for pancakes and Greatest Showman again. 3rd in 2000m indoor rowing competition which was a surprise. Winning mixed relay despite spending more time on change-overs than actually rowing! Laughing at stories of people falling off their bikes when I came over for sleepover. B‘s birthday – making chocolate brownies (tasted like toffee) and getting her a Fitbit. Getting a sports massage. Town with IC and starting to catch-up. IC‘s birthday. Halfway through school year. Tricking people into thinking I&E had a massage at break. Darkest Hour with Mum&Dad. Getting ready at IC‘s with all her sister’s screaming friends. L‘s ‘cake-ligraphy’. Mermaid top and outfit for B&IC’s party. Life in Kateish was born on 12th June 2016 – 448 days ago. I’ve had so much fun writing posts, taking photos and just thinking up ideas over the last 14 months but I guess you’ve probably noticed I’m not exactly the most consistent blogger out there. I know its ironic that after a long post apologising for my absence from the blog, I then take another long break. I’m sorry, I’m sorry. I’ve been thinking about me as a blogger and what I want from blogging. I dream of one day having a following as a blogger but I know that won’t come overnight and I know it won’t come from blogging the way I do at the moment. It needs hard work, determination and consistency – I only have a bit of determination. So for now, I’m going to blog the best I can. A few days ago, I tried to go self-hosted but I didn’t give it enough research and thought. It was just confusing me and I felt far too out of my depth so I returned back to wordpress.com for now. But the few hours that my blog was over on self-hosted gave me a renewed sense of motivation. While I haven’t become self-hosted, its given me the ambition to progress my blog and get it to the next stage on my blog plan (I don’t actually have a clear plan set out but I have an end goal so its sort of getting there). I’ve said in previous posts that blogging acts as a distraction from school. Maybe this will mean that my blogging game will pick up, maybe it won’t. I’m not promising anything. I find the thought of a schedule makes me lose all my natural motivation and I don’t want to get to the point where I’m writing half-hearted posts just for the sake of getting a post out on time. So I guess what I’m trying to say is: I’ll post what I want when I want. I want to post travel posts, bookish posts, beauty posts and more along with what I already post. I can’t wait to see what my newly rediscovered motivation will bring and what the next year holds for Life in Kateish. Prom is sort of a big event for the girls in my year. I knew, however excited I was, I would never compare to their levels of excitedness. I mean, I was excited for it but it wasn’t the highlight of my life and thing I was looking forward to most from the moment I was born. I find Prom a bit weird. I’d never really heard of it before last year and I find it a bit strange that we have it in fifth form (year 11) given that my school still continues on for another 2 years. My dad describes it as ‘the worst American import’ and points out that it should be the Prom not just Prom. My Prom was over a month ago now which is crazy especially as the preparation for it began a year and a half ago. I told you the girls in my year were obsessed about it! My school has absolutely no involvement with Prom and we have to organise it all ourselves which in some respects is good as we can do it how we want it but in quite a few other respects is bad. It’s a lot of work to try to organise while also do the exams. I was on Prom committee as the only ‘uupopular’ girl but I ended up leaving it before anything big was organised as even though I was there to ensure that it wasn’t just going to be organised to be good for ‘the populars’, I wasn’t being listened to and it was becoming to much of a waste of time. Luckily, Prom still turned out to be great. I got my dress back in April which I thought was quite late especially as everyone else seemed to already have their dresses, however I’ve been told that it’s actually very early compared to ‘normal’ people! I didn’t have any clue how I wanted the dress to be before I went shopping but I had a list of things it shouldn’t be: patterned, puffy skirt, strapless, black. At my school we have a special Facebook group chat for sharing our dresses with each other once we had bought them because unless you travel to get your dress, there are only 2 shops you can get it from in my area. I decided to travel. Anyway, I went down to London to get my dress partially to make sure I didn’t have an awkward matching disaster with someone at school and also because my aunt told me that they have a very good range of shops. Tip for anyone buying any sort of formal dress, I highly recommend going to Finsbury Park in London as there’s a street opposite the tube station that is just hundreds of dress shops. Some of the shops have more OTT dresses (one had fluorescent yellow dresses with massive puffy skirts!) but compared to the shops in central London or other cities, they’re for really good prices. Definitely go and check them out if your Prom is next year. The biggest problem I have is that all the dresses were designed for big chests i.e. they have very plunging necklines or something like that, and I don’t really have much of a cleavage so they didn’t really fit and just looked a bit stupid. However, my dress didn’t require a cleavage so that was a big reason why I chose this dress! The dress to begin with ‘fitted me like a glove’ as my mum would say but then revision happened. I’m not really a stress eater but more of a boredom eater. During May and June, I ate and ate and ate. Anyway, the zip just didn’t do up by the time of my last exam. It was almost close to zipping up but I only had a week to lose a little bit of weight or at least shrink in some way! Luckily I managed it although I don’t really know how! I guess the dress it quite simple but I didn’t really want to go all out for a few reasons. 1. It would be too attention grabbing 2. I have another Prom in 2 years and I feel then would be better time for massive detailing or something 3. I didn’t necessarily want to look that much older than I am. Anyway, I really like this dress because it was one of the colours my mum wanted me to wear and I like the fact its figure hugging without becoming a ridiculously constricting thing. I also love the train on the dress as it makes me feel so posh for some reason! For shoes, I found some from ‘Dune’ which are honestly the highest heels I think I could ever wear. They made me be over 6 foot and I basically towered over my friends! I didn’t really match my dress because it was royal blue and silver and the shoes were glittery pink but for some reason it seemed to work. The jewellery I wore was also simple and I bought it as the same time as my dress. I did the hair and makeup myself which I found very stressful as I really can’t do makeup very well and my mum wanted me to have a sleek bun which I knew would make look bald. I will admit to having a bit of a breakdown the night before about it all. I don’t really know why it was but I think it was due to my dislike of the photos from boat club dinner which had been the night before. Anyway, on the morning of Prom, my mum experimented with 4 different bun hairstyles just so we could make a decision and eventually went for a sort of braided chignon bun thing. I just went for my regular makeup with a few extra layers of foundation to try to make my skin look somewhat even in the photos. As for the event itself, we had it on a Monday evening which was a bit weird as it meant quite a few parents had to leave early from work to see their children in Prom outfits. Anyway, the reasoning for this was that it made the night cheaper but yeah. Prom itself was from 6 until midnight but I’d arranged 2 pre-prom drinks meet-ups with my friends which meant that preparations began at 11am which was later than most of my friends but as I was doing it myself, I didn’t have to fit my preparations around a hairdresser or makeup artist’s schedule. After I was all ready, I took photos with my family. Then travelled to a friend’s house and took more photos with my close friends and then travelled to another friend’s house and took even more photos with other friends. And then to Prom for about a billion more photos! I realised I have over 500 photos from Prom alone!! We hadn’t really thought about our arrival to Prom. I know some people hire limos or Ferraris or something but as we’d all just been together down the road, we car shared and turned up however we piled into the cars. When we turned up, there was a red carpet. An actual red carpet. Why? did they want us to be extremely embarrassed as we climbed out a car with bird poo splattered down the side? They had a photographer and all the parents queued up taking photos as we walked into the building. It was sooo embarrassing and awkward! However it didn’t compare to the awkwardness of having to walk out into the gardens at the back with our whole year watching. The thing I found most awkward about all this was the sense of fakeness from everyone wandering telling everyone how lovely they looked and begging them for photos even though they didn’t know each others name. I think I’m probably a bit bitter about this because no one wanted a photo with me or came to talk to me so I was designated to photographer which I didn’t mind it just would’ve been nice to have a bit of a confidence boost! Me and a few of my friends tried to find a way to go home after a few minutes because the awkwardness levels were so high. I’m glad I didn’t. After we were called in for dinner I started enjoying it a lot more as the awkwardness decreased. The food was OK, better than I’d been expecting but not 5 stars but the thing I really enjoyed were the prom awards. We didn’t do Prom King and Queen because it was pretty predictable who was going to win those (a popular) but they did other awards that tried to include everyone. I had been nominated for ‘Kindest friend to all’ but I really didn’t want to win it as I don’t have the confidence to walk up in front of everyone so I was really happy when one of my closest friends won it instead. She really deserved it. I was particularly glad that none of the people who had been nominated for an award as a mean joke ended up winning as I knew that none of them would find it funny. After a pudding of surprisingly tasty profiteroles (I’m not normally their biggest fan) we headed downstairs into the cellar for the final 2 1/2 hours. When I had still been on the Prom Committee, I’d been the one voting against the place with the cellar as I felt if we had spent so long getting dressed up, there was no point us then heading down into the pitch black where no one could see each other however the cellar actually made the whole of prom for me. SO it was probably a good thing that no one listened to my opinion. We had a photo booth, a DJ and dance floor and a bar which served a wide range of orange juice and water! Most of the ‘party animals’ in our year headed home at 9:30ish when they realised that there wasn’t any alcohol for sale and there was no way they were going to be able to get their hands on any. The night improved even more after they left. The highlight of the night was definitely when ‘Wonderwall’ and ‘Don’t look back in Anger’ were played because despite the fact that none of us were born or close to being born when they were released, everyone knew every word and we all joined hands and ran into the middle as if we were doing the ‘hokey cokey’ (I really hope you understand what I’m trying to say here!) when the song went ‘ANd soooo Sally can waitt,’ which was surprisingly fun. I’m easily amused. Another highlight was watching my friends climb into the fountain and dance just because they felt like it. They got kicked out of the fountain and a security guard was positioned by the fountain for the rest of the night but it was still lots of fun while it lasted. Finally, at 12ish, we all began to head home as it was past the DJ’s bedtime (seriously, he was really young) and we were left soaked in sweat from all the dancing (or at least I was) but very happy. No, we didn’t dance the night away until dawn, that’s what the after-prom party is for (which happened the following evening) but it was just long enough for us to properly relax and have fun. One final story from the night to finish off the post: My mum picked me and 2 friends up from Prom and drove us home. It was quiet with no other cars in sight and as we were going around a roundabout, the whole car suddenly juddered and stopped. It was almost as if we’d hit something but we couldn’t have done. Anyway one of my friends had been thrown into the door by us stopping and we didn’t really know why but it turned out that her dress had this waistband tie thing while had been dangling out of the car door and had become tangled in the car wheel. The juddering was the wheel stopping as it tore the material. Luckily the tear doesn’t look too bad and my friend wasn’t hurt but the moral of the story is, always make sure that none of your clothes are trailing out of the car. My mum always tells the story of the same thing happening to a woman in the 1930s but instead of the back of her dress, it was a scarf and she ended up being strangled and died because of it. So yeah, be careful. Prom overall was a lot better than I expected, I actually had fun! I’ve decided that dressing up is really fun so if anyone has any invitations that give me a reason to dress up let me know! Long time no see! And I’m really sorry about that. I know I promised to be blogging so much more regularly once summer arrived but the truth is I haven’t really thought about blogging in the last 6 weeks. Actually, that’s a lie but I’ve only thought about it so far as to feel guilty for my lack of posts and my absence from social media. To be honest, I opened up WordPress for the first time in a fortnight 3 minutes ago to write this post. I feel kinda bad, but at the same time, I don’t. You see, blogging for me is a way of escaping from school and the boringness of all that -all the posts that have been published here since finishing school were all written while I was meant to be revising. So what have I been doing recently? If you saw THIS post about what I had planned for this summer, you’ll know it was busy and I’ll give a little spoiler that the majority of the bullet points have happened already (11/15!). So let’s head through them in a little chronological story. I’ve included most things no matter how uninteresting they might be to some of you but I have taken out 2 days that I called ‘recovery’ days just because all I did was lounge about with friends! PANCAKES – My granddad arrived down from Scotland on the day before my exams finished. It’s not often that he come’s down to visit us and I do feel a bit bad that I was so busy all the time while he was here. However after my last exam finished at 10am, I went out for a celebration meal with him and my parents to Cream’s (it’s a pancake and waffles place and I think can also be called Kaspar’s in some towns). I did warn them the food was big but they insisted that I underestimated their eating ability and then grumbled through the meal about how big it all was! Don’t say I didn’t warn ya! Then after a meeting about summer homework (what sort of monster starts talking about summer homework 4 hours after exams finish?!) it was time to really start the holidays! PARTY – As I’ve mentioned before with a lot of friends missing out on birthday celebrations over the exam season, there were a few parties we needed to catch up on. This was the first and it was much-needed unwind from exams. It was nice especially as it was good weather and just my close friends and a few of their boyfriends. CAR BOOT SALE – So as I might have mentioned once or twice, last summer I went to America and obviously it was a lot of money to just produce so I had to do a bit of fundraising. One of these methods was a car boot sale and it actually went really well. It’s very easy after making the money in a seemingly easy manner to then start thinking about selling everything in car boot sales. I’m not joking when I say that I debated living in 1 pair of jeans and 2 t-shirts for the rest of my life just to get a bit of extra money. The sale went ok, not as well as last time but we still got a bit of extra cash so it definitely was worth spending the morning doing, even if my dad wasn’t happy about the lack of lie-in on Father’s Day!! WORK – So… I mentioned in my ‘Summer goals’ post (HERE) that I wanted a job, and I got one but I don’t really know if it counts… Firstly, it was only for 2 days and secondly it was for my parents but it’s still work, right? I worked from 8/8:30 ish until about 6 which was longer hours than the other people at the job and finally sort of began to understand what they go on about when they’re talking about their work. They work in computing and my job was basically to build these computers. ALTON TOWERS – This was so much fun. I went with my friends and when we got there we split into 2 groups: those who wanted to go on the ‘big rides’ and those who would be found on the rides in CeeBeebies Land. I went in the first group and was a bit nervous tbh as I’ve never really ever gone on any rides but it was fine because I loved all the rides I went on except one, Oblivion (google it if you don’t know which ride this is). I did almost all the ones I wanted to do except Galactica which in the end was probably a good thing because a) it means I’ll have to go back again soon and b) it ended up breaking down while hanging upside down!! Comment down below which of the Alton Towers rides is your favourite or if you’ve never been which ‘theme park’ you recommend I go to! TB TESTING / WORK EXPERIENCE – As I’m sure you know I want to be a vet and I need about 6 weeks of work experience to get into university so I’m trying to grab any bits of experience I can and helping out with TB testing at my local farm (by local, I mean next-door neighbour) is always very interesting even if it’s ‘too dangerous’ for me to be in with the cattle I can still spray them with flyspray or whatever they need. It’s sometimes very heart-breaking as you know that each result could impact the farmer’s life and livelihood so much. This time we were lucky with only one bad/inconclusive result which means that cow will need to be retested in 2 months. However, it was still quite close to my heart as out of all the cows it could’ve been, it was the only one I’ve ever particularly got to know by name, if that doesn’t make me sound crazy! However, for the farmer, I felt that he was relieved that the results weren’t a lot worse! BOAT CLUB DINNER – I actually quite enjoyed it. I mean it wasn’t my favourite night ever but I certainly didn’t hate it. I enjoyed the night itself I just hate the photos part of the night. You see, I do love photos to remember moments with and I always see photos on Instagram or Pinterest and think how amazing it would be to recreate these photos but I just can never get a photo I like or am anywhere near happy with. I enjoyed the actual night, I just REALLY hated how I looked in all of the photos and I guess I let it get to me a bit too much. I wore a flowy lace bright red dress that was definitely really nice but just didn’t help with the photo situation. A) everyone else’s dresses where tight whereas mine wasn’t tight but wasn’t shapeless. Anyway, it just made me look rather large compared to everyone else B) it was bright red so I couldn’t blend in with the neutral/light blue dresses around me. It meant that attention (at least my attention) would be brought to me first in the photo and I really didn’t like it. However, in the end, I did manage to find one photo I liked which is of me and my parents because we al look so happy that it sort of blends out the dress and other areas I don’t like about the photo. OLLY MURS – At the same venue as Boat Club dinner, the next morning was a Olly Murs Concert. It was definitely interesting not only because of the crazy woman in front of us who almost gave us black eyes. Basically we arrived there 2 hours early and sat as far forward as we could that wasn’t the special priority section. Because it was a cricket pitch it was a bit weird as we had to avoid that little rectangle in the middle of the pitch. It meant the concert was a little separated between those who were basically up on the stage with Olly and everyone else who basically had him as backing music. Anyway the woman in front of us was one of those constantly screaming people. and she seemed so oblivious to the fact she was slapping us so much as she waved her hands around (we think she was rather drunk!) and I feel so sorry for the people behind us who slowly got more and more squashed as we shuffled backwards to try to avoid her dangerous dance moves. We could just imagine turning up at prom and having to explain how we got black eyes!! The concert itself was really good especially the songs we knew and could sing along to! I don’t remember the other time I saw Olly in concert but what surprised me was how desperate he seemed. Like, he was constantly hinting how much he wanted/needed a girlfriend. I don’t know why, it just really surprised me! More photos on the way but here’s a little sneakpeak!! HENLEY REGATTA – Henley was a very fun but very long day. We stuck to the strict dress code for the enclosure we were in even if we chose to avoid the hats it ‘advised’ us to wear. The particular fun of obeying the rules was being able to tut at anyone who wasn’t listening to the dress code! My dad and friend, Emily, both seemed to know so many people either from rowing with them (my dad) or because they row internationally (Emily). I felt a little clueless but I did enjoy the competition to find the ugliest rowing blazer. They never make them in normal colours!! It surprised me how many international crews (mainly from America) there were but apparently there were more than usual due to the drop in dollar to pound since Brexit… The food there was absolutely amazing if not a bit ridiculously priced but hey, it’s a posh event, it’s not going to be cheap!! ALPACA SHEARING – This was the first time I’d ever been around for alpaca shearing and it was definitely interesting although finding a long enough extension lead to go from the nearest plug to the field took longer than the sheering itself! I was going to say that it was fun but really, as stress-free as they try to make it, the poor animals still do get pretty stressed out. It was good however to get hands on with one of the alpacas who’s a little more flighty than the others but is limping and be able to inspect his shoulders as they appear to be the cause of his limp. If anyone would like more in-depth talks about each animal we have, do let me know as I would like to do more animal themed posts. SURREY OPEN DAY – Another month, Another university open day! Surrey Vet School was one I was really excited for and I can’t decide if it lived up to my expectations… It definitely wasn’t bottom of the ones I’ve looked at so far but I just don’t know… It’s very convenient in terms of doing sport so I guess its ranking with the other vet schools depend on whether I’m aiming to continue with my rowing or not. I just don’t knowww… Ah well, I have a year and a bit before I need to really start thinking about it! I didn’t really take any photos so this will have to do! So, in conclusion, I’m sorry for abandoning you in these last 6 weeks. I don’t know if you’ve noticed but I’ve certainly felt absent. And if, for some strange reason you still feel like I’m a good blogger in any way, it would mean the world to me if you could vote for me in the Teen Bloggers Awards. I’ve been nominated for 3 categories: best book blog, best music blog (from my one music related post 😂) and best blogger aged 16-19. You can find the voting page HERE and the closing date is 1st August at 12 noon. A new post will be up soon, pinky promise!! I would love to reach 200 followers on here and I have 4 to go so please please follow and get your friends to follow!! The day I first published a post on this blog. I’ve had many blogs over the years but this one is the first one that’s stuck. I mean, it’s changed so much since I first started but at least I haven’t completely deleted it like all my previous blogs! I’ve lost count of how many blogs I’ve deleted but I think it must be over 10 so this really is a step forward for me! 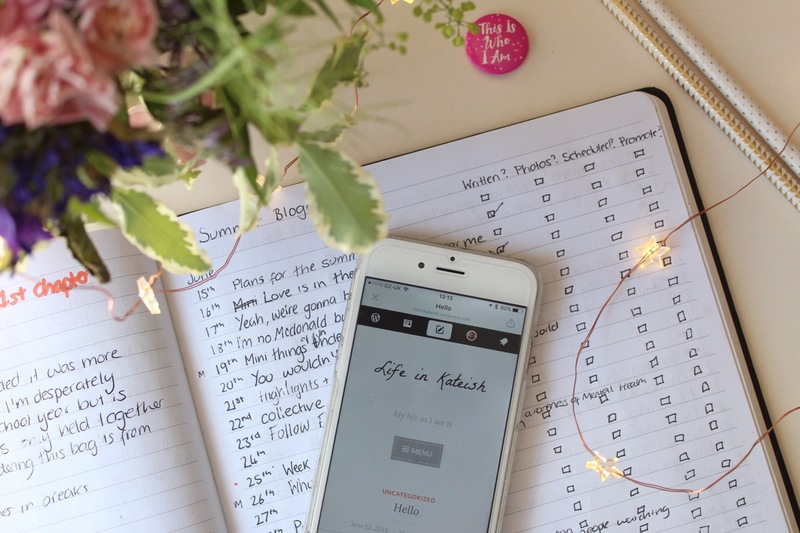 It started as ‘My Internet Home’ over on Blogger but when I changed to WordPress in November, I changed the name to ‘Life in Kateish’ as I preferred it and I felt it was more memorable. So technically, the whole blog changed. The name, the host, the design although the blog posts transferred. If you really feel like seeing how / if my blog posts have progressed, my first post is HERE. Anyway, that means that it’s now been over one year of me blogging consistently. What!!? I never expected to actually stick to it but it looks like I’m here to stay and I’m really enjoying it especially in the last few months. I can’t wait to see what the next 6 months brings. Today I wanted to share a few things I’ve discovered in my first year of constant (ish) blogging. I know it’s quite a generic post but I’m hoping my points will be a bit more unusual! There will always people who just get blogging. It’s certainly the case for me. I can’t help comparing myself to people who started their blogs at the same time as me or more recently and I’ve watched as their follower count has flown up while mine has moved slower than a centipede with 50 legs. It’s something that does get me down but I’ve realised there are some people who naturally have the right style of writing for their audience to want to read and there are some people who have had spotless photography from day 1. I’m not anything like that and blogging has been a developing journey for me. It’s fun looking back on how I’ve progressed in the last year and I know I still have so far to go. There are 2 types of blogging. One is a more personal orientated style of blogging and the other is more audience orientated. I’m trying to turn my blog into a mix of the two over the next few weeks. The personal orientated blogs tend to be more online diaries and a space to think openly for the author. In my opinion, each post is a lot more raw and less time is spent editing every single word of the post and more time is put into the actual meaning behind the words. Audience orientated blogs are written to be read and the posts are designed with the audience in mind. Photos, layout and subject are key. The posts are designed to make the audience learn something or to help them. I’m not saying either one is better than the other or anything like that, but it’s really interested me to see how each blogger approaches blogging. You may have the ideas but not the time. I started out 2017 with the plan to blog every 3 days, it worked for a bit, then I took a break, then it worked for a bit, then I took a break and so on. It just wasn’t maintainable. I had enough ideas for each post but not the time to write them. I found it very frustrating and decided that blogging every 3 days just isn’t manageable for me. 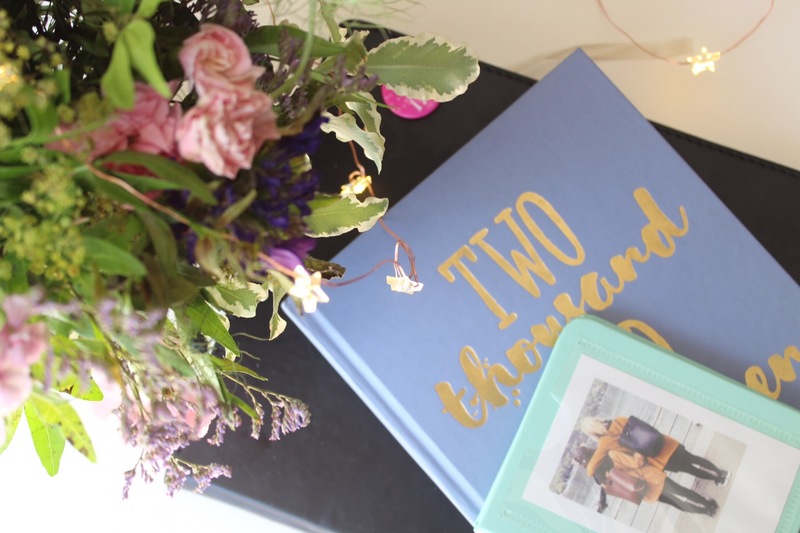 Yes, I could prioritize blogging a bit more over other things but this year, those ‘other things’ have been GCSE revision so that’s not really a good idea! 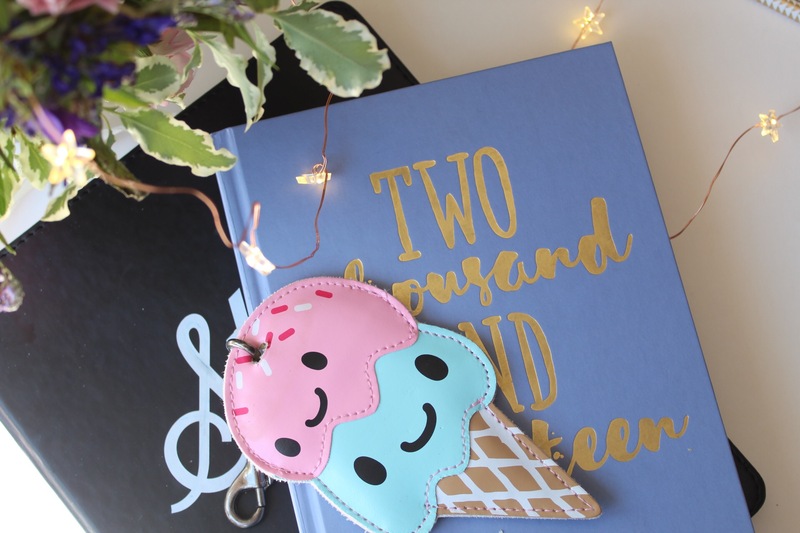 Hence the lack of posts in the last few weeks… I think I’ve sorted out a more manageable schedule for when I get back to school in September so hopefully, I won’t end up taking so many big blogging breaks!! Visuals do mean a lot to the reader. When I first started out, I thought that it was the words that mattered most in a blog post and obviously they do matter but if the post doesn’t look appealing or is just big blocks of text, they won’t read it. It needs to be appealing. Writing is something I really enjoy but design is a part that I struggle a lot more with and wasn’t something I thought would be a part of blogging when I started up. I really do want to improve my ‘look’ because nothing is more satisfying than a blog with perfectly put together layout, design and photos. A Niche isn’t necessary but it helps depending what your goal is. I don’t know if you can tell, but I don’t have a niche at all, I write about whatever I want. When I google things like ‘How to improve at Blogging’ (and yes, I google that a lot! ), one reoccurring tip I see is, ‘Have a niche’. For me, I can’t think of a specific niche that I wanted to write about so I decided I’d have a go at everything and decide later. I think that’s the best decision for me as I realised you don’t need a niche. If you want to grow big or get lots of repeat visitors, it helps if you have a specific topic to base your blog around as you attract the people who are interested in that topic but, for me, I think I’d lose interest in writing about the same sort of thing every week. So, yes, if your aim is to grow a big following quickly and become a big blog, I think that a niche helps but if you’re just doing it for the fun of it, you do you! There’s so much info on the web. I started out just making stuff up as you go along with my blog but I can’t help thinking how much more successful this blog would be if I’d read all the info I could get my hands on before hand but to be honest, since starting blogging last year, my focus has completely shifted from ‘MUST BE A BIG BLOGGER’ to Actually, this blogging thing’s quite fun’. To be honest, it had never occurred to me that bloggers would share their tips because I had expected it to be a much more competitive community than it is. I never expected people to help each other and it warms my heart to see everyone being so supportive of each other. My biggest tip to a new blogger is, make the most of the information available and use it! So here we have it. I have officially been blogging for one year and while I might have summed up some of my biggest lessons here, I have learnt so much. I’d like to take the opportunity to tell anyone reading this, even if it’s the first time you’ve come across my blog, thank you. I have enjoyed it so much and I promise I have some great things up my sleeves for the next few months, please stick around! Happy 1st Birthday Life in Kateish!